Welcome at site of the company KOEXPRO OSTRAVA, a.s.
KOEXPRO OSTRAVA, a.s. was enrolled in the Business Register on the County Court Ostrava as a private joint stock company in May 1995. 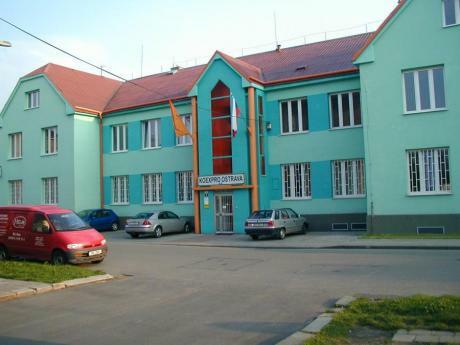 In the nascent company, former workers of the Research - Development Base of the Ostrava- Karviná Collieries were engaged, specialists and technologists participating for a long time in activities focused on accompanying mine activities, piping transport etc. The company´s production and delivery program was concentrated on tools, equipment and machines manufactured according to own "know how". RESEARCH - DEVELOPMENT - MANUFACTURE - SALES - SERVICE for tools, machines and equipment of category M2 for using in potentially explosive atmospheres (DIRECTIVE ATEX 94/9/EC). the company co- operate closely with the company Hornonitranské baně Prievidza, a.s. in the field of operation and maintenance on the KOEXPRO OSTRAVA, a.s. company´ products, which are used underground of this company. in the year 2008, the certification procedure was finalized in these countries for many products of the KOEXPRO OSTRAVA, a.s.´ production program. Sales and service on these territories are assured individually up to now, e.g. without exclusive representation, founding "JOINT-VENTURE" etc. in 2007, event. 2008, the company started to deliver tools and equipment on the market of these countries including doing steps in certification procedure for these products. 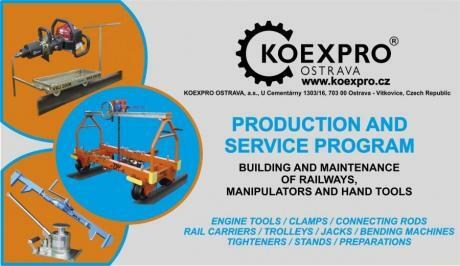 KOEXPRO OSTRAVA, a.s. is a holder of the certificates.